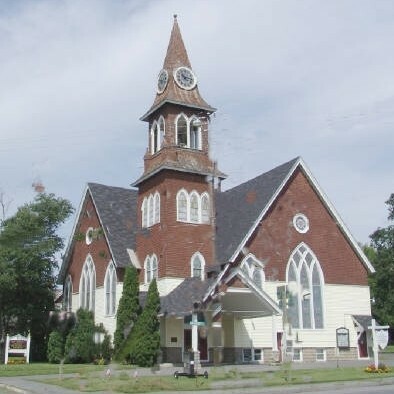 The Methodist Episcopal Church in Caribou, now called Gray Memorial United Methodist, was dedicated on November 16, 1913, to serve a congregation that had outgrown an earlier 19th-century building. 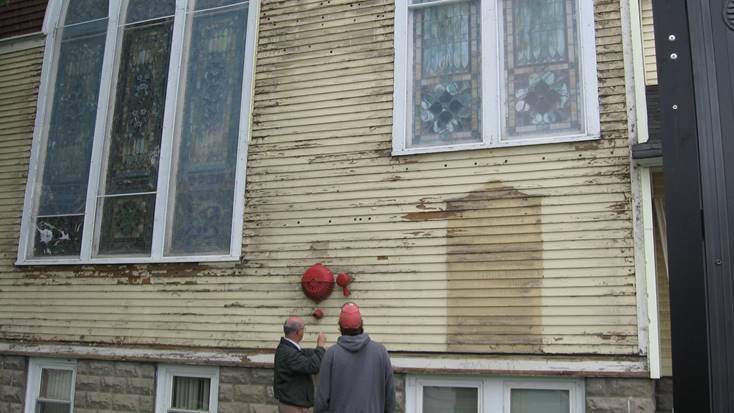 Though the church did not endure radical structural changes over its lifetime, vinyl siding was installed over the historic clapboards in the 1970s and a number of the covers installed to protect the stained glass became damaged and discolored. The steeple needed considerable work on both siding and roof, and copper pinnacles on the steeple were in need required polishing and repairs. 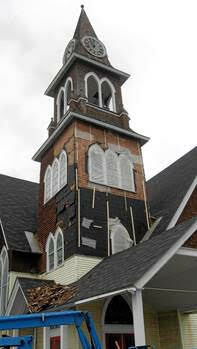 In preparation for the church’s 100th anniversary in 2013, the congregation of Gray Memorial United Methodist, embarked on a capital campaign to raise funds for restoration of the exterior. 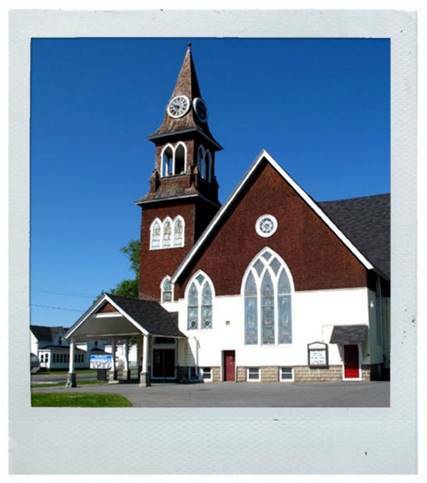 The church also received two grants from the Maine Community Foundation’s Steeples Project to support this work: both an Assessment Grant and a Steeples Grant. With funding secured, work began in 2012. Vinyl siding was removed; surviving clapboards were restored and repainted. Similar wood clapboards were used to replace missing and seriously damaged elements. 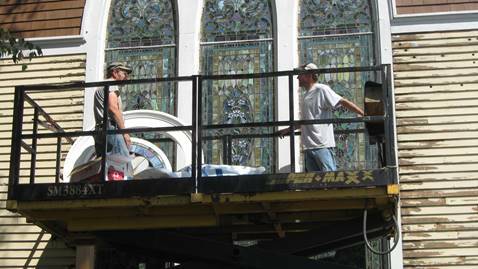 Two stained glass windows were removed and carefully restored before being reinstalled into newly replicated sashes. Because of the height of the steeple, a special crane had to be brought in for work to continue. When the copper globes at the top of the steeple were removed for cleaning and repair, workers discovered that one had a bullet hole and had been etched with several names. After restoration, it was returned to its original location. 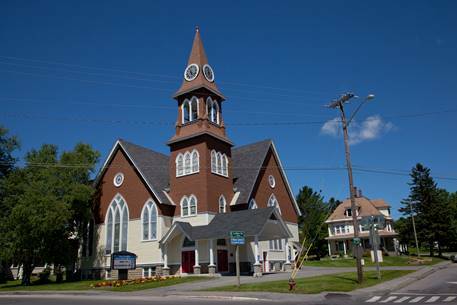 Work was completed in time for the church to celebrate its 100th anniversary in October of 2013. The congregation displayed a remarkably strong commitment to the preservation of their historic sanctuary. It’s thanks to their sterling efforts that Gray Memorial United Methodist Church will remain an elegant and vibrant part of the community for many years to come.